Last week Erik and Joe discussed Erik’s QIB system when it comes to the offensive prospects in this year’s draft. In this episode, they move to the defensive side of the ball. Could the Lions really be looking to trade out of the No. 8 spot? Thanks to Austin Simmons, Tjma 4321567, Josie Dawn, Josh 505 and Morgan Annie for the 5-star reviews! With the NFL Draft a mere 21 days away the Erik and Joe begin to look at Erik’s QIB (Quinn Influenced Benchmark) players at each position. In this episode they work their way through the offense. What is Anderson’s value to the Lions? Buffalo QB Tyree Jackson finds himself in Lions orbit again. Could he be the target at QB in this draft? Kelly Stafford announced that she has a brain tumor and will undergo surgery within the next two weeks. We wish her a successful surgery and a full recovery. Special thanks to Run to Win Steveio98, Max air RT, Chasen da Super Bowl, JFK BK, J Mike M Jane, MSG v 2.0, Matt Domsic, Mister Owens and Kaline Country for their top notch reviews! Free agency has slowed down a bit, but the Lions have still been busy making moves. This week Erik and Joe spend the show digging into a deep mailbag and discuss topics including free agency additions, contract restructuring, retirements, the roster as a whole and, of course, the draft. Will certain remaining players have their roles change? Is it better to trade up or trade down? Free agency started with a bang on Monday as the Lions were one of the busiest teams in football. Bob Quinn added a lot of faces he is acquainted with and a couple that were a little more unexpected. Erik and Joe delve into it all in this episode. What free agents could still fit the Lions? How were the Lions draft plans impacted by their free agency moves? This week happens to be one of the most interesting weeks during the offseason. The combine has wrapped up and the prospects are being graded and free agency is right around the corner. Erik and Joe are lucky to celebrate their 100th episode with discussions on a myriad of player movement topics. Could A’Shawn Robinson be traded? The LionsWire has a series on combine winners at… running back, wide receiver, tight end, offensive line, interior defensive line, EDGE rushers, linebacker, cornerbacks and safeties. Does Landon Collins fit the Lions secondary? This week the player measuring and drills begin. 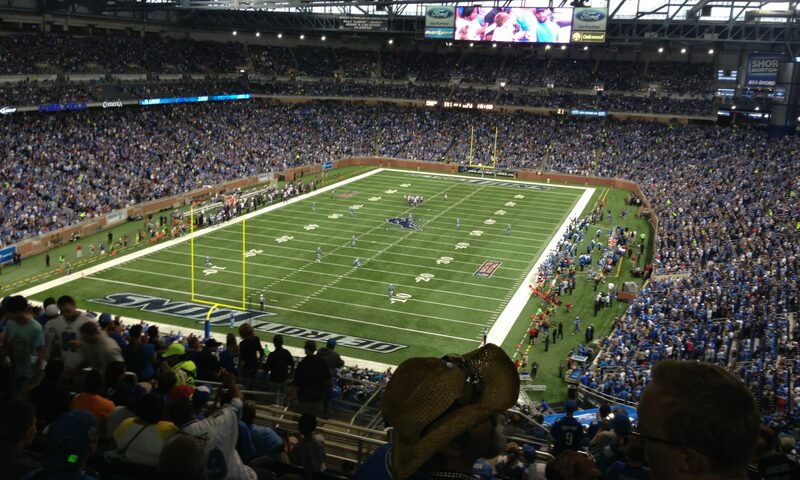 The Lions and many of their fans turn their focus to Indianapolis to watch non-stop coverage of the combine. Erik and Joe finish their preview of the combine, with this go around zero-ing in on the defense. Among Josh Allen, Rashan Gary, Brian Burns, Montez Sweat and Clelin Ferrell, who fits the best in the Lions scheme? On Day 2 and Day 3 of the draft who would be the best EDGE for the Lions? If the EDGE rushing, safety and receiving deficiencies are addressed in free agency is Devin White an option at 8? With the NFL Combine quickly approaching (February 26th-March 4th) Erik and Joe spend this episode talking about what the Lions are likely looking for, at each position, as NFL hopefuls get poked and prodded in front of a live worldwide audience. Are the Lions any closer with their search for a new RB coach? If we watch slot receivers, what drills at the combine are most important? How good is DK Metcalf? Will the Lisfranc injury keep Marquise Brown off the Lions draft board? At the Senior Bowl the Lions seeming interested in many WRs, were there any the stood out among the rest? Is Slot Receiver or Tight End a greater need? 8th overall pick… Is it worth taking TJ Hokenson? Do the Lions need to target a TE in rounds 1-3? Could the Lions take 2 TEs in the draft? What drills can cost an Offensive Linemen draft position? Could the Lions take Alabama OL Jonah Williams with the 8th overall pick? What Offensive Linemen could go to the Lions on Day2? This week the Lions hosted their annual summit for the season ticket holders and members of the media including our own Erik Schlitt. 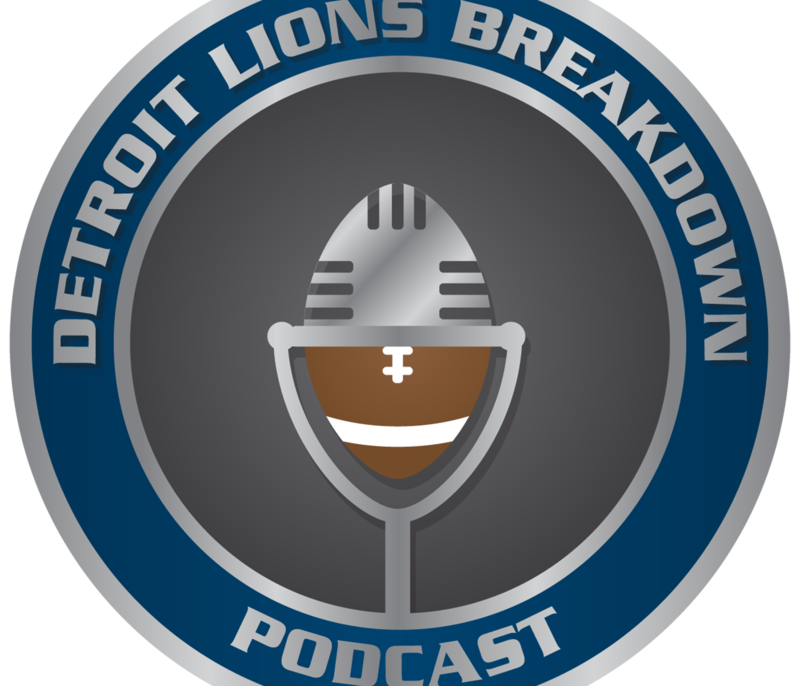 Joe and Erik will break down the topics discussed by Bob Quinn, Matt Patricia and the gang and answer an overflowing mailbag. Is it important that the Lions have a RB coach by the time player movement starts? What were the top topics from the Lions Summit? Why did the Lions say that they are not ruling out drafting a QB at No. 8? Could Ryan Santoso supplant Sam Martin? Could Ziggy Ansah come back? How will the Lions address running back, draft or FA? Does the Denver Broncos trade for Joe Flacco throw a monkey wrench in the Lions options to trade in the first round? Would the Lions take TE T.J. Hockenson, or WR D.K. Metcalf, in the first round? What other early options at tight end or wide receiver could the Lions consider early on? If the Lions traded down, would they target an offensive lineman, like Dalton Risner in the first round? This week Erik and Joe flip to the defensive side of the ball where they break down every position group. As a special bonus, and also due to rambling on in the previous episode, they will also break down the offensive line. At how many different positions will we see Hand in 2019? Will Ed Oliver be in play when the Lions draft at #8? Is the need at LB greater than it seems? Under what condition will the Lions move Jarrad Davis to WILL? A recent mock has Buffalo LB Khalil Hodge to the Lions in the third round, how does he fit? Could Nevin Lawson be on his way out? And how would the Lions replace him? Will Jamal Agnew find his role in the secondary increase in 2019? Would it be for the best if the Lions moved on from Teez Tabor? Are the Lions more likely to upgrade the corner position through free agency or the draft? Could Bradley Roby be an option? Is DeAndre Baker a similar talent to Greedy Williams? Who will replace Glover Quin’s leadership in the locker room if he retires? Could Landon Collins be an impending Lion if he makes it to free agency?